Magento Marketplace Return Merchandise Authorization (RMA) System, Magento RMA System for Magento multi vendor marketplace extension. 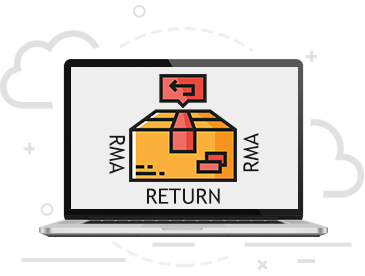 Magento Marketplace Return Merchandise Authorization (RMA) System allow Customers, Vendors and Admin can manage return, exchanges or refund directly from your marketplace. Customers can submit requests for RMAs on customer dashboard. Vendor can send messsage for customer on detail RMA page. Vendor can change status for each RMA request. Allow vendor filter or search RMA request via order id, customer email, customer name. Support all kind of products like simple, download, virtual, configurable etc. Admin can create new RMA request throught the backend magento. Admin can manage all RMA requests on marketplace, Edit or update all infor of RMA request. Enable/Disable all features of extension throught settings in backend.